What about a ScootRS manifold that they flog for the PWK carbs? Norman & Birch in Hanley (Stoke-on-Trent) are probably worth a shout. They've been around forever and have always worked with scooters. 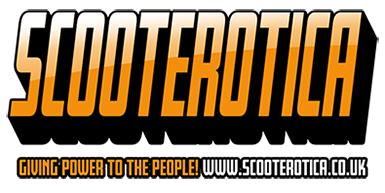 Topic: Your First scooter /first car ? Re: Your First scooter /first car ? ok, so my 16 year old son has finally realised how much fun and freedom he could have with a 50 but which are the ones to go for? I'm thinking SR50, Runner, Typhoon or maybe ET2. Topic: GP 150 to suit ts185 + std crank. Re: GP 150 to suit ts185 + std crank.